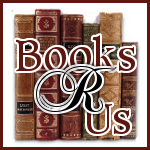 Ginger High- Books R Us: GUEST POST BY PAUL LEVINE AUTHOR OF FLESH & BONES. GUEST POST BY PAUL LEVINE AUTHOR OF FLESH & BONES. I want to welcome Paul Levine to Books R Us. Paul is the author the the Jake Lassiter Series and is touring the blogosphere with his book, Flesh & Bones . Stop by tomorrow for my review of the book. “PART CON MAN, PART PRIEST” – JAKE LASSITER REVEALS WHO HE IS. So says Jake Lassiter in “Flesh & Bones.” Or rather, he thinks it in interior dialogue, sometimes called interior monologue. It’s one way to reveal character and answer the reader’s question: Just who is this guy, anyway? I’ll let Jake answer that question, but first I wanted you to know that the international bestseller “Flesh & Bones” is now an e-book priced for a short time at $0.99, with all proceeds going to Hershey Children’s Hospital for cancer treatment.
" We seek justice in the courthouse, just as we seek holiness in a house of worship. Justice is an ideal, a vague concept we strive for but can barely define. Justice is the North Star, the burning bush, the holy virgin. It cannot be bought, sold, or mass produced. It is intangible and invisible, but if you are to spend your life in its pursuit, it is best to believe it exists, and that you can attain it." “Flesh & Bones” and all the Jake Lassiter novels are available on Kindle , Nook, and Smashwords. More information please visit Paul Levine’s Website. The author of 14 novels, Paul Levine won the John D. MacDonald fiction award and has been nominated for the Edgar, Macavity , International Thriller and James Thurber prizes. His critically acclaimed and bestselling "Jake Lassiter" novels have been published in 21 countries. The first of the series, "To Speak for the Dead ," was named one of the top ten thrillers of the year by the Los Angeles Times. A former trial lawyer, he wrote more than 20 episodes for the series "JAG" and co-created "First Monday," Staring James Garner and Joe Mantegna. His next novel "Lassiter," will be published in the Fall of 2011 by Bantam.